ScanSnap Cloud is a service that delivers scans from your iX Series ScanSnap to your favorite cloud services without the need for a computer or mobile device. It intelligently optimizes and sorts scans into documents, receipts, business cards and photos, and then sends them to the cloud services of your choice. 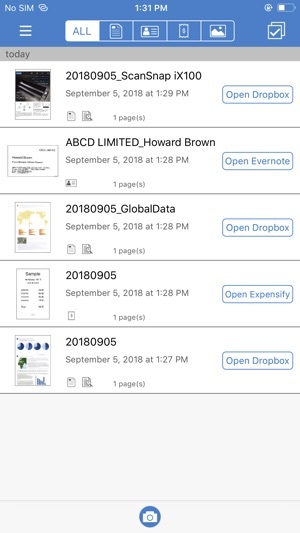 ScanSnap allows you to scan directly to your cloud storage or line-of-business application, and access your files anytime, anywhere, and on any device through integrated apps including Box, Concur Expense, Dropbox, Evernote, Expensify, GoogleDrive, Google Photos, Hubdoc, LedgerDocs, OneDrive, QuickBooks Online, Rocket Matter, Shoeboxed, Talk Acct, SecureDocs and Xero. 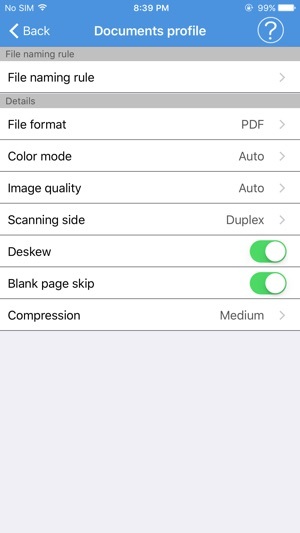 This app allows you to easily configure your data’s destinations, adjust settings and view your scans. 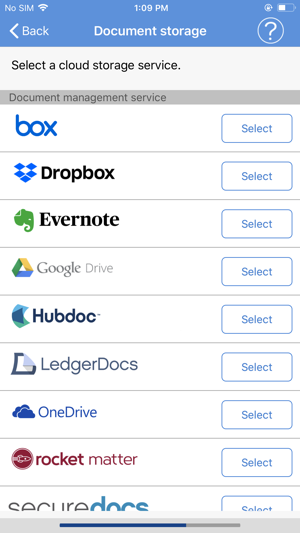 You can use ScanSnap Cloud to scan into Box, Concur Expense, Dropbox, Evernote, Expensify, GoogleDrive, Google Photos, Hubdoc, LedgerDocs, OneDrive, QuickBooks Online, Rocket Matter, Shoeboxed, Talk Acct, SecureDocs, Xero. For the latest information, visit ScanSnapCloud.com/us. ScanSnap Cloud functionality for the iX1500, iX500(*1) and iX100 provides users an easy way to scan directly to their favorite cloud services without the need for a computer or mobile device. After quick configuration, ScanSnap Cloud works intelligently behind the scenes to automatically sort scans into four categories: documents, receipts, business cards and photos, to make scanning easier than ever before. (*1) Depending on when you purchased the iX500 model, the SSID and SECURITY KEY label may or may not be attached. If the label is not attached, configure the initial settings from a computer. After you configure the initial settings from a computer, you can use ScanSnap Cloud functions. (*2) Letters may not be recognized correctly depending on the condition of documents or electronic font used. 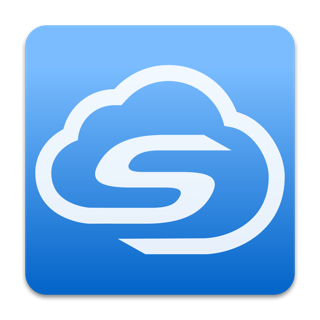 (*3) ScanSnap Cloud handles scanned images by using high analysis technology. Depending on the contents of a document, however, the wrong process may take place. We recommend that you check your chosen cloud services regularly for misrouted documents. 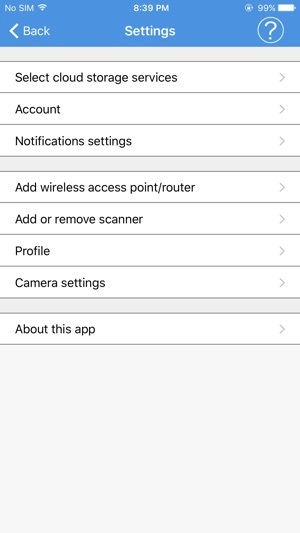 (*4) The camera function is for ScanSnap iX1500/iX500/iX100 owners only. - Devices that are running iOS 10.3 or later and are equipped with a Wi-Fi function. 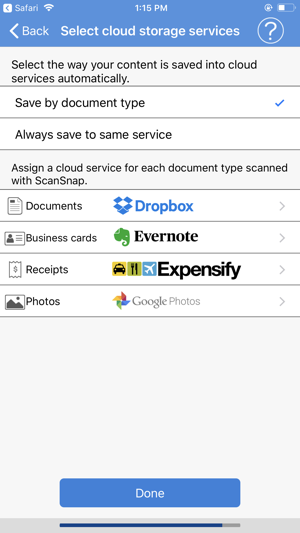 • ScanSnap Cloud is now also available in Australia, New Zealand, Indonesia, and Singapore. • Modified the error where photo images taken with a camera could not be sent correctly. • Minor bugs have been fixed. The app works. It’s hideous, it doesn’t support the X-style screens, and its clunky as hell, but it works. © 2017-2019 Fujitsu Computer Products of America, Inc.